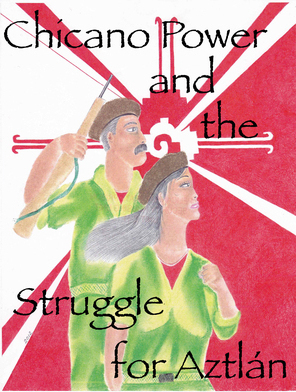 [In December 2014 MIM(Prisons) received this petition against the Tier II program from two different comrades, with almost thirty signatures. Considering these prisoners are organizing in extreme conditions of isolation and sensory deprivation, that number of signatures is impressive. 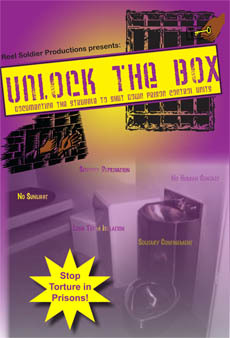 We publicize this petition as part of our overall struggle to shut down Control Units in prisons across the country. We the people (jointly and severally) come together to petition the government for a redress of grievance, pursuant to the Bill of Rights, "Amendment I" of the Constitution for the United States of America. Furthermore, we the people assert the rights set forth in "the Universal Declaration of Human Rights" (UDHR), adopted by the UN General Assembly on December 10, 1948. More specifically, we assert the rights set forth at Article 1-8, 18-22, 26 and 28 of the UDHR. We the people now move to set forth the factual basis for this petition. Fact, on December 7, 2014, at approximately 10:45pm, a man [inmate] "died" inside of the J-1 dormitory (cell #124) at Smith State Prison. It is stated that the man/individual committed suicide. The examiner and/or coroner pronounced the man officially dead between 11:30pm and 1am. We the people believe (with strong conviction) that the Tier II Program (behavior modification program) is the root and cause of the death. During our examination it has been determined that there are numerous "factors" that must be evaluated, and has been evaluated in reaching our conclusion that the tier II program is the "root and cause" of the "death." Factor #1: The Tier II program is a mind and behavior control program for prisoners, via long term deprivational isolation and segregation, which is a form of psychological, mental and emotional torture/suffering. Factor #2: The Tier II program is intellectually, mentally and creatively stagnating. People/human-beings [prisoners] are prohibited from receiving any and all books, magazines, newspapers, novels, articles, etc. We are forbidden to read any and all books, magazines, newspapers, novels, articles, and all other forms of reading material [the only exception being a bible or Qur'an; either or, but not both; we may choose one or the other]. This prohibition on reading causes "stagnation" of the mind, which in turn, turns man back into what men were before civilization [barbarians, cavemen, and savages]. To not want people/human beings to read and or have access to divers reading materials is self evident that the goal of this program is not progressive and rehabilitating, but instead, by design it is regressive and debilitating. Reading is fundamental [fundamental to growth, improvement, learning, success and life itself, etc.] No one can put forth a logical explanation for prohibiting reading and forbidding reading. No one can provide evidence that prohibiting reading serves some good cause or rehabilitation. All evidence is contrary to that thesis/theory. Factor #3: The Tier II program isolates and separates us from our families and loved ones. Most individuals/people placed on the program cannot receive visitation because of the way the program is designed. Most people cannot use the telephone because of how the program operates. For a vast majority of us, the "only way" to contact and or connect with our families or loved ones is the letters. We must write letters; we correspond through the mail back and forth. Mail correspondence is the only form of communication for the majority of us. Factor #4: The Tier II program is a health hazard. The conditions of confinement are a violation of the 8th amendment (cruel and unusual punishment clause) of the Constitution for the United States of America. The food that is served is nutritionally inadequate. Everyone (all of us/all the people) that are on the Tier II program has and/or is losing weight. Some of us have lost a lot of weight, while other have only lost 10-15 pounds (since being on/in the Tier II program). But all of us are losing weight, and have lost weight. Also, the food that is served is often unclean and thus unhealthy. The milks are often spoiled. The "meat" is often raw or old (spoiled). The food in general is old (half of the time). The trays that the food is on are always filthy/nasty, as if they have not been washed. The filthy ways contaminate the food that is placed on them. We have no choice but to eat it or starve. (On phase 1 and 2 of the program we cannot purchase any food items from the commissary/store.) No clean water is passed out or given to us. We are forced to drink out of old, nasty sinks, with rusty spicket/faucet. Exercise (yard call/outdoor recreation): We are denied and or deprived the opportunity to go to outdoor recreation and exercise (which is a judicial-constitutional guarantee - for prisoners; see Spain v. Procunier, 600 F. 2d 1490 (9th Cir. 1984) and a plethora of other federal cases). Yet and still they deprive us of outside recreation/exercise for months and months at a time (case to case basis). Some of us are deprived for days, and some for months and/or years. The bottom line is, they deprive us of exercise. On phase 1 (of the Tier II program) we are not allowed to buy any hygiene from the commissary. We are prohibited form buying hygiene for months at a time. Yet, they take all our hygiene items. The list on conditions of confinement goes on and on, so for time sake we must proceed. Factor #5: Many of us are put on the Tier II program without due process of law (procedural due process of law, as set forth by the Supreme Court on Wolff v. McDonnell, 418 U.S. 539, 563-655 (1974)). We were put on the Tier program without receiving written notice; we were not given a constitutional hearing; we were not allowed to call witnesses; we were not provided an opportunity to present documentary evidence or any other form of evidence; we were not provided an opportunity to be heard/to speak; we were not provided an "advocate" to assist us, or to put up a defense (of any kind) or to investigate (into the alleged matter); thus, no due process of law. Factor #6: When we were put on the Tier II program, all of our property was confiscated illegally (confiscated without due process). Property that was taken include: all our CDs, CD players, headphones, earphones, all pictures and/or photos, all books, magazines, novels, articles, newspapers, and all other reading materials (except a bible or Qur’an), lotion, deodorant, soap, toothpaste, grease, toothbrush, hairbrush, nail clippers, comb, dental floss, soap dish, photo album, free world clothes (tshirts, socks), pajamas, wave cups, thermals, etc. All food items purchased from commissary, be it soups, honeybuns, buddy bars, chips, drinks, etc. The property/items they took/confiscated include the above mentioned things, but are not limited to those things/items. Other personal property was taken that is not on this list. Factor #7: Some people are on the Tier II program for an indefinite period of time which could last many years. Others will remain on the Tier II program within the time line specified in the SOP (ITB09-0003), which is 9 months - 2 years. Factor #8: Whenever we are taken out of the cells, we are mechanically restrained (handcuffed and/or shackled and/or waist chained) and escorted by two or more guards. Factor #9: If there is an emergency, such as death in the family (or something of that nature), we are not allowed to attend the funeral or memorial services, because of the Tier II program. Factor #10: Because of the Tier II program, we can not look at TV or listen to the radio. For some of us it has been over 22 months since we last seen TV, seen a movie, or even seen a commercial, or heard the radio. Factor #11: Some of us, they will not let out the hole (segregation/isolation) even when we may have earned and received a certificate (and or receipt) stating "successfully completed the Tier II program. Factor #12: We are deprived of almost any environmental or sensory stimuli and of almost all human contact. Factor #13: The conditions of confinement are an "atypical and significant hardship" upon us. Factor #14: The above mentioned deaths, is not the 1st death this year, that was caused by the Tier II program. Earlier this year (on or around February 12, 2014) in J-2 dormitory, cell #240. On 2/12/14, another man dead on the Tier II program. This man was killed by his roommate. Currently his real name is unknown but he was known as Sa-Brown. Sa-Brown was murdered, stabbed to death by his cell mate. We believe and/or it is believed that the Tier II program drove the man crazy/insane, then he murdered Sa-Brown. According to the Georgia Department of Corrections Standard Operating Procedures (SOP) II B09-0003, Section I, Policy (page 1) states: "This program is an offender management process and [supposedly] is not a punishment measure... The Tier II program is a behavior modification program." The truth is - this offender management process/behavior modification program induces death (whether directly or indirectly). And we believe those that are responsible for the deaths are the creators, maintainer(s), operator(s), and manager(s) of the Tier II program; that would be: Brian Owens (GDOC commissioner) and Randy Tillman - the authors/creators; and Stanley Williams (Warden of Smith State Prison) and Eric Smokes (the unit manager of the Tier II program). These individuals (Owens, Tillman, Williams and Smokes) are responsible for the Tier II program and are responsible for the deaths (whether directly or indirectly). The above mentioned factors are not the only relevant factors to be examined and evaluated in determining our conclusion. The above mentioned factors are included (in the examination and evaluation process), but are not limited to those factors (mentioned above). But for time sake, we will cease to elaborate on the numerous factors. (1) the signatories of this petition. (2) the living, breathing, flesh and blood man or men. (3) the people (or person) inhabiting the North American continent. (4) the living flesh and blood man (or men) sojourning upon the soil of the land mass known as Georgia, and plot within fictional boundaries. (5) The men or man held captive or prisoner at Smith state prison in or on the Tier II program. We the people inhabiting the North American continent, freemen, "...hold these truths to be self-evident, that all men are created equal, that they are endowed by their creator with certain unalienable rights, that among these are life, liberty, and the pursuit of happiness..." having been granted by our creator dominion over all the earth, reserve our right to restore the blessing of liberty for ourselves and our posterity, under necessity, that I/we declare, "that, to secure these rights, governments are instituted among men, deriving their just powers from the consent of the governed..." and as declared in many states constitutions; "we declare that all men, when they form a social compact are equal in right: that all power is inherent in the people" ... and "that, whenever any form of government becomes destructive of these ends, it is the right of the people to alter or abolish it, and to institute new government, laying its foundation on such principles and organizing its powers in such form, as to them shall seem most likely to effect their safety and happiness." Therein, the greatest rights of the people is the right to abolish 'destructive' government, those administrating as trustee, or those institutions that have become destructive and/or corrupted. We the people call for an end to the Tier II program!